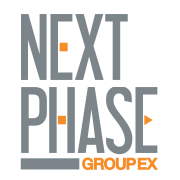 Start taking classes at Next Phase Studio and other studios! We provide all of the functional training equipment - you just show up! Store your things in our lockers or cubbies and rehydrate at the water station. Two private restrooms, no showers. Sundries provided. Snacks & water bottles available for purchase. We are in the heart of downtown Bethesda - right behind the Metro station & above Chipotle. The entrance is on the Courtyard/Plaza level of The Metropolitan. The pedestrian bridge over Old Georgetown Rd (at Edgemoor Rd) leads right to the studio. Metro: Take the Red Line to the Bethesda stop. They are located right behind the station on the Courtyard level of The Metropolitan. Parking: A low-cost public parking garage is located right below studio. Park for only $1.25/hr (free on weekends). Entrances are located on Woodmont Ave & Edgemoor Rd. It was very fun class. Anna offered modifications when necessary. Devon has great energy and always gets the class moving! Andy is a great instructor- friendly, encouraging, and helpful. The workout was adjustable to your fitness level. I’m just the right amount of sore today. Devon’s classes are an excellent cardio workout! The music selection is excellent and I’m glad to have this class in my regular rotation! Great music, great teacher and dance moves! To make the class more energetic, I would suggest the teacher encouraging clapping after each song to keep the motivation and momentum up. It worked in all my other dance workout class! Great workout, Robin is really enthusiastic and encouraging! I love coming to Robin’s classes. He’s tough, but encouraging. Always a hard workout, but you feel so accomplished once you finish!